UPDATE: By the way, you can order these on BN.com. Funko is proud to announce of first ever line of premium action figures. It’s a shame we could not release this information the correct way, but things happen. I will let you all in on a scoop, that is series 2 will be shown for the first time at Toy Fair. So you will see a New Daenerys(mother of dragons outfit), Khal Drago, Jamie Lannister, Robb Stark, Arya and Brienne! For the next 30 day[s] only Series 1 will be exclusively at B & N.
BN.com has them up now! 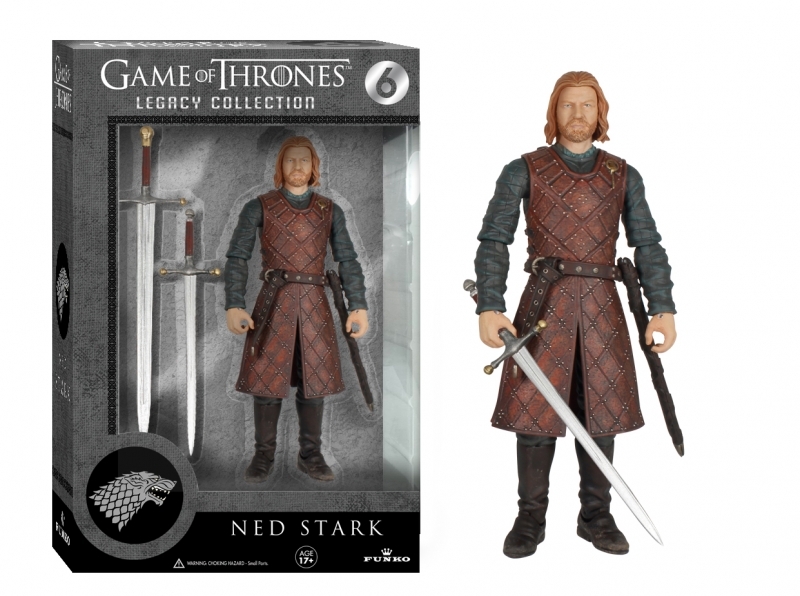 Just placed an order for all but Daenerys. 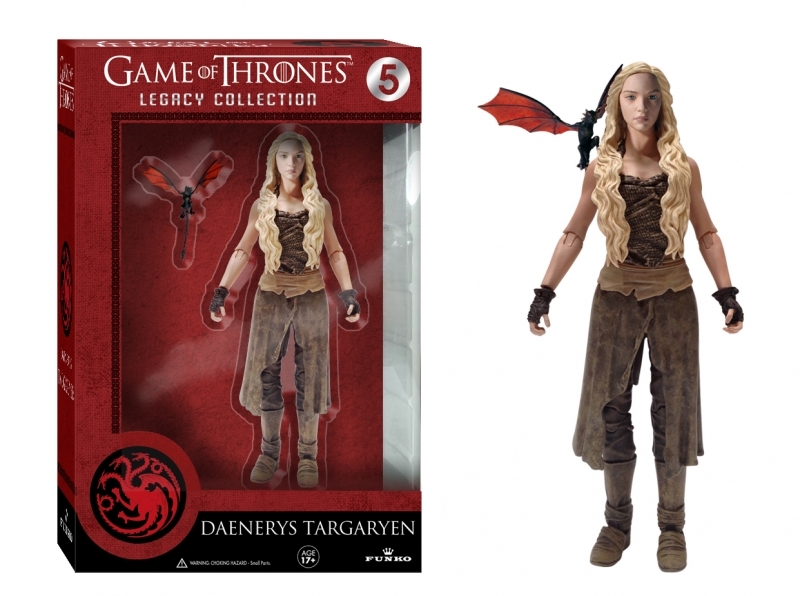 I'm going to wait to see what the Series 2 Dany looks like before deciding to get the Series 1 version or not. 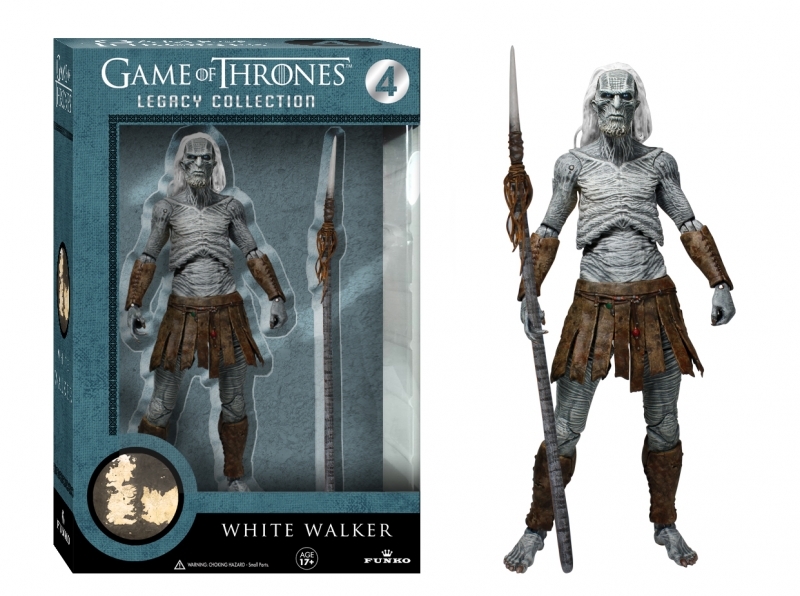 Got an extra White Walker too because 1 zombie isn't enough. $130 (with tax) is steep but Barnes & Noble has free shipping over $25 so that helped a bit. I'm honestly curious how the single figure casepacks will affect sales. 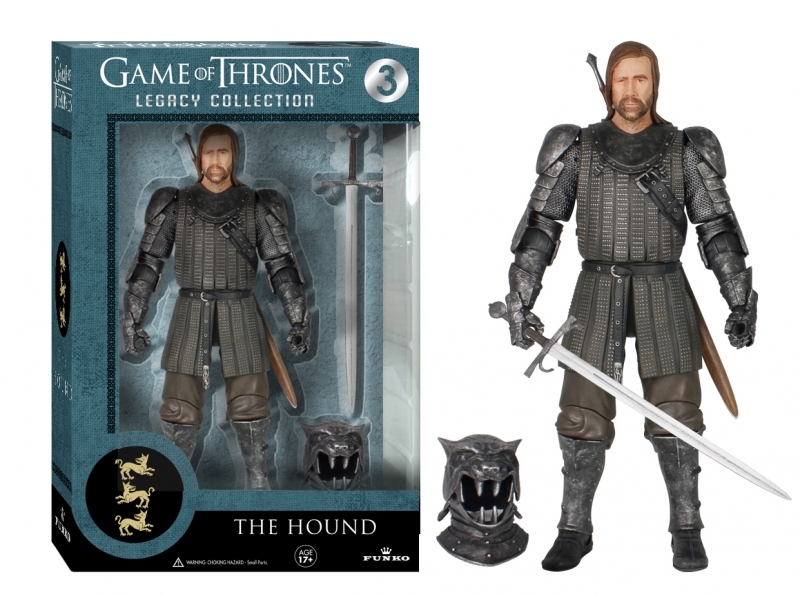 Will figures like The Hound and White Walker pegwarm while Tyrion becomes scalper bait? Why? Aren’t single figure case packs better? They could just order an extra case of Tyrion. If Hasbro did this with SWB6″, retailers could order an extra case of Boba Fett or Stormtoopers. True but then you get into the issue of certain figures being under/over ordered and seeing shelves of The Hound but no Tyrion or Jon Snow due to popularity. It works better for collectors because the figures are theoretically evenly packed but if stores only order 1 case of each and the popular characters sell and less popular ones pegwarm then its the same as with Star Wars Black, only possibly exaggerated due to the bulk cases of pegwarming figures. I hope this casepacking works out well for everyone. It beats the hell out of shortpacking females (looking at you Hasbro Cap 2 ML Wave 2) and overpacking heroes. Like I said, I'm curious to see how it works out. Is it one of each per case? I just found 3 Danaerys, 1 Ned, 2 Jon, and 1 Walker. Based on what’s still available online, I don’t think they’re evenly packed. So it’s a question of how many boxes of each character did Barnes and Noble order, rather than any case assortment from Funko. 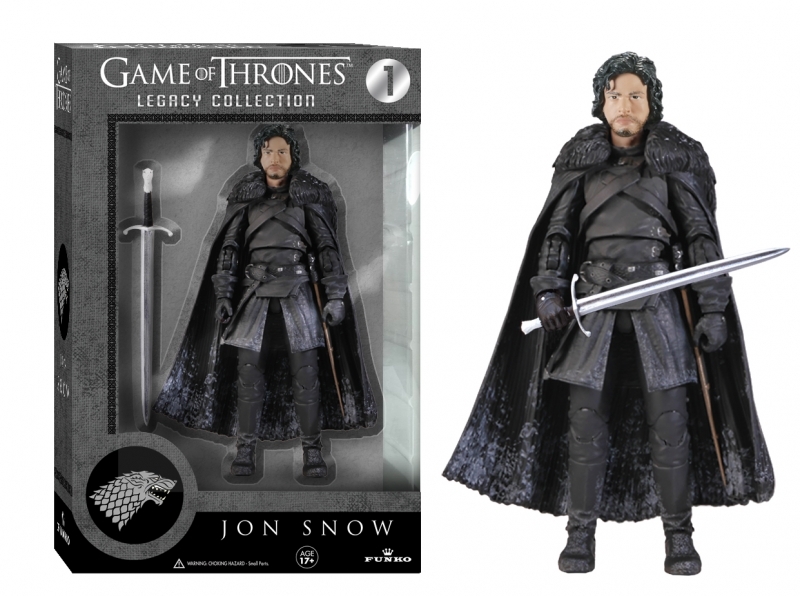 I was going to make a snide comment about their bland, dead-eyed, expressionless Jon Snow…then realized that's actually a completely accurate rendering of the actor. ZING! You know, these look a lot like ToyBiz's Lord of the Rings work. Which makes sense, since I believe Gentle Giant worked on those too. So they're all sold out but Daenerys now. I wonder how long they lasted. I reserved a Daenerys figure for pickup at my local BN (Braintree, MA) this morning. When I got to the store, they had none others on display, and I was told by Customer Service that the figures are embargoed from sale until 2/15. I went to 5 stores this morning. 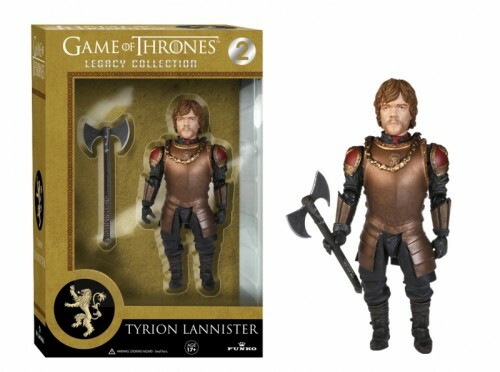 All but 2 Daenerys and one Jon were sold out. Each store said they got in 7 yesterday and a sold out instantly. Well, I knew these would be a huge hit the minute I heard about them. Now I wonder how this BN exclusivity will affect other retailers. If most of the collectors who have to have them now are getting them now will sales post BN exclusive suffer? At least for this first wave? I picked up 4 at another BN today. They were out on display, but no Tyrion. They're nice figures, though the likenesses aren't quite there. But I'm all in on this line! I could see the series 2 Daenerys having a different baby dragon and series 3 having a third Daenerys with the third baby dragon. Maybe we'll get "tub time" Daenerys in series 3. I tried to get them today, but my BN wouldn't sell them to me because of the 15th release date. I'll have to try back on Saturday, I hope they don't sell out! I got the wave today and they are awesome. You gotta watch paint carefully. The joints tend to be an issue as most are stuck. My white walker fell and his joint snapped, So I got to find another one to replace him. I'm behind a season so I don't know if he's generic or not. My Daenerys also falls apart constantly at her torso joint. Still love these figures and the mesh great with my Neca stuff. I really hate to say this but I can't recommend them anymore. I was reposing them and tyrions arm snaped at the shoulder, Daenerys elbow snapped of, and the white walker fell over last night off my display about 3 ft and his leg snapped off. I'm assuming this is due to the translucent plastic they use for the joints.